Moscow authorities have voted to erect a statue of Vladimir the Great on Borovitskaya Ploshchad near the Kremlin, after months of dispute regarding the location of the monument. The Moscow City Duma Monumental Art Commission voted yesterday to construct the statue on Borovitskaya Ploshchad, with 62% of the voters in favour. 32% voted for Lubyanskaya Ploshchad, while 6% preferred the Zaryadye district, both of which are in central Moscow. An open letter in support of constructing the statue on Borovitskaya Ploshchad was sent to Russian President Vladimir Putin, Moscow Mayor Sergei Sobyanin, Minister of Culture Vladimir Medinsky and Patriarch Kirill of Moscow by a group of prominent Moscow museum directors, architects and artists, including the director of the State Tretyakov Gallery, Zelfira Tregulova. “Here the monument to Prince Vladimir will rise up powerfully, naturally, in harmony with the surrounding sacred architectural environment — the towers of the Kremlin and the gold domes of the Christ the Saviour Cathedral,” read the letter. As the authors of the letter highlighted, the Borovitskaya location was the most popular in a recent online survey, which allowed Muscovites to vote on where the statue should be placed. The decision ends months of dispute surrounding the location of the statue. 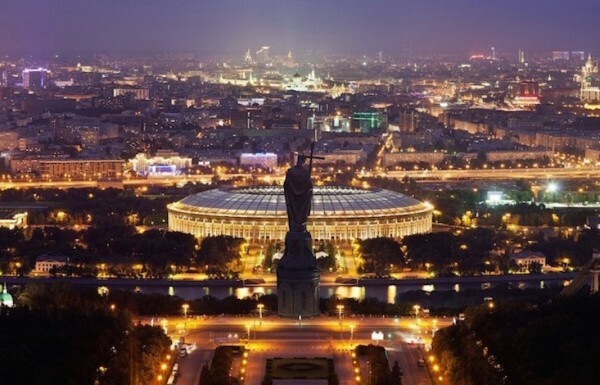 Tens of thousands of Muscovites signed a petition against the original planned placement of the statue on Sparrow Hills, after the decision was taken without public consultation. The statue, which is 24 metres high, would have been visible from much of Moscow. The dimensions of the monument will be adjusted to better suit the new location. Vladimir the Great, who ruled over Kievan Rus’ and is recognised as having Christianised the Slavic cultures, is revered as a saint by the Russian Orthodox Church and seen by many as a founding father. Opponents of the statue have argued, however, that Moscow is an inappropriate location for the monument, as Vladimir ruled from Kiev and has no links to Moscow, which did not exist at the time of his rule.